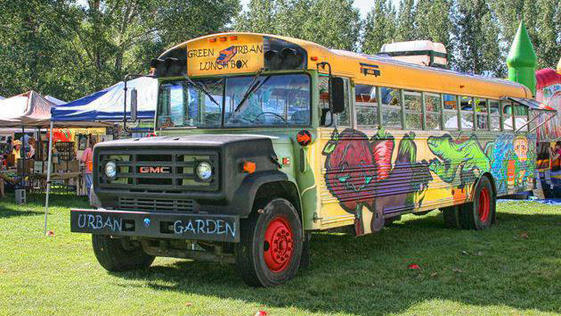 At the heart of the Green Urban Lunch Box is a 35-foot school bus that has been converted into a mobile greenhouse. 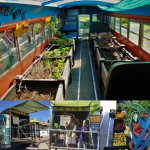 Each season we utilize different techniques for growing food on the bus in order to show the endless possibilities of urban agriculture. 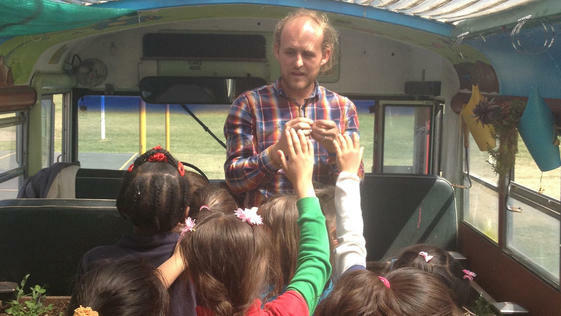 We use the bus as an educational tool to teach children in our community about the scientific, agricultural, and social aspects of growing food in urban and suburban environments. 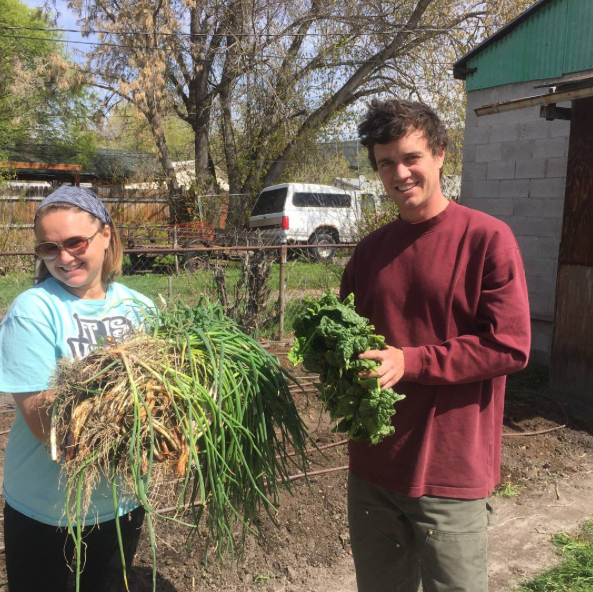 Our community farm and orchard is a plot of land in Layton that has been reclaimed and cultivated with the help of community members and volunteers. Owned by UDot, this 37-acre orchard had been abandoned for several years, and would still be sitting unused if we had not leased it. 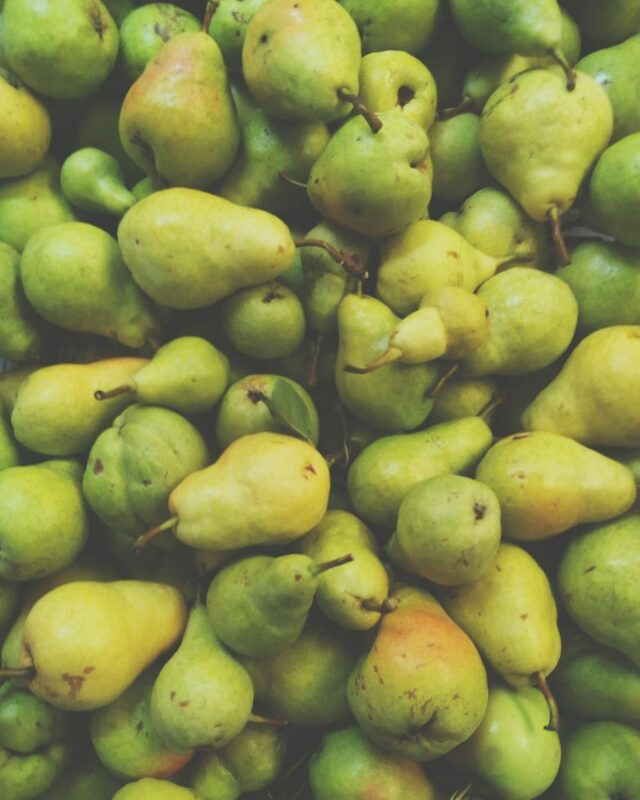 The trees produce fruit that we are able to harvest and distribute in food deserts. 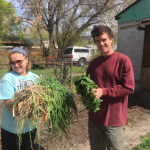 This incubator farm or farmer training program helps community members develop and maintain small farm plots, growing fresh produce for local markets. This year we had 13 new farmers on the property, working and learning what it take to start a farm bushiness. 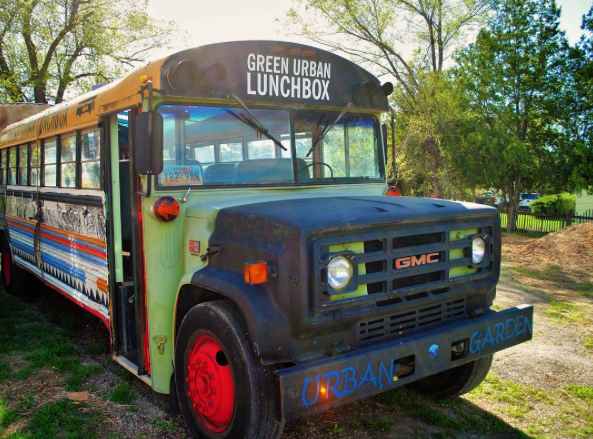 I love working with the Green Urban Lunch Box! Such a cool mission and creative vision going on here. The idea started with a college friend’s wishful desire to replace the concrete parking lot outside her college dorm with a small garden plot, which led to a discussion about how difficult it can be to grow one’s own vegetables in an urban environment. Through some brainstorming, our ideas expanded from planting a garden in a small trailer to creating a large, mobile garden. 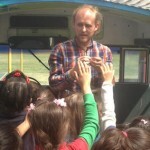 We landed on the concept of cultivating vegetables inside a fully functional school bus. 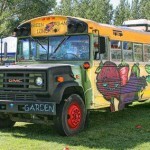 We know a bus is not the most logical place to plant a garden; however not much about our current food system is logical. 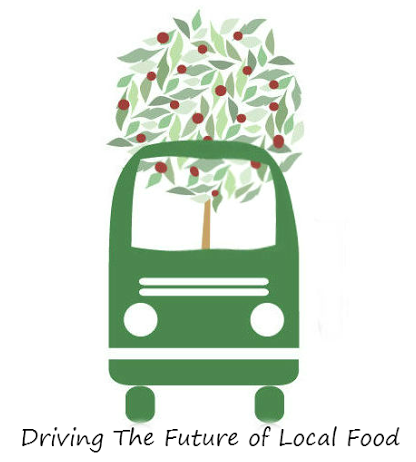 Growing food and transporting it across the country produces food that is tasteless, expensive and damaging to the environment. With the increasing cost of food (due in large part to the cost of transporting mass-produced vegetables), we feel the small initial expense of starting a garden supports the benefits of taste, cost savings, health, exercise, and a clean environment. 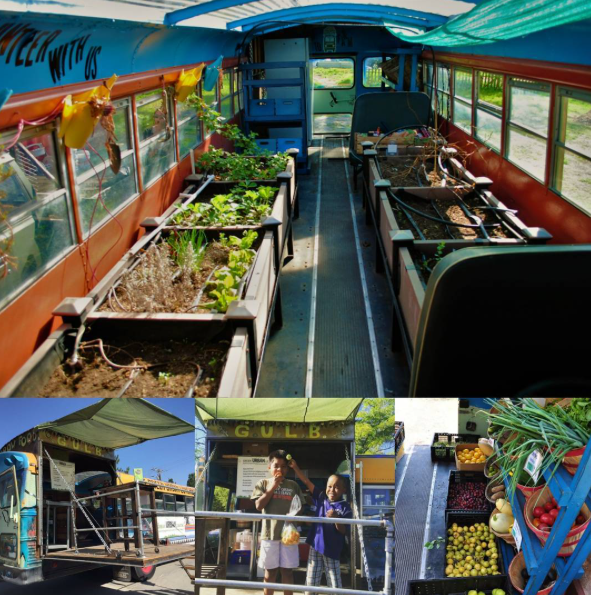 We understand, however, that growing food in a converted school bus will not solve the many problems in our current food system. 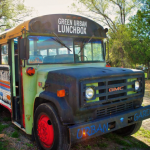 We hope to use The Green Urban Lunch Box and all of our programs to educate and motivate individuals regarding issues related to food production and healthy eating. This entry was posted in Food and tagged Food, greenhouse on May 24, 2017 .